The Warrenton Golf Course voted BEST golf course in Warren County, is one of the few golf courses designed without homes hugging every fairway. Golfers will enjoy a peaceful and relaxing ‘back to nature’ round of golf. Here, golfers find course quality, hospitality and outstanding playing conditions, drawing golfers back time and again. At the Warrenton Golf Course you will find contoured and well maintained zoysia fairways for optimum playing conditions. You can warm up or hone your putting skills on our practice green. 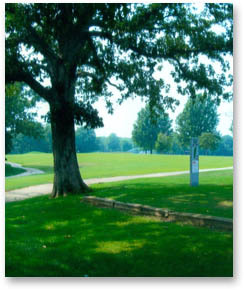 The Warrenton Golf Course has a pavilion with a capacity of 200 people to accommodate your outing. Our friendly and accommodating staff along with our teaching professional will do their best to ensure you will enjoy your time at our facility.